Hunting for that perfect new GMC Yukon for sale near Rome? 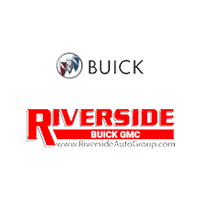 With over 17 Yukon models in stock, Riverside Buick GMC has what you’re looking for. Get the power you need in a Yukon SLE equipped with a V8 Engine, or enjoy the comforts of a Yukon SLT with tri-zone automatic climate control and leather-appointed heated and ventilated seats. With so many new Yukon SUVs to choose from, we’re sure to have one in stock with the features and options you’re looking for. Browse our inventory of GMC Yukon models for sale to find the perfect one to drive home to Acworth! Once you’ve browsed our new GMC Yukon inventory online, it’s time to get behind the wheel for a test drive. Contact us today to schedule your visit to our showroom in Cartersville near Canton.